COB Industries Inc. has been manufacturing and distributing specialty industrial tools for over 45 years. COB Industries is based in Melbourne, Florida and our products are sold in all 50 states and throughout the world, with an extensive network of distributors and re-sellers. 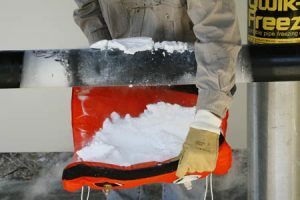 COB Industries has several divisions offering Pipe Freezing kits, Argweld® weld purging products, Techweld® products, Pipe Plugs, Pneumatic Saws, and other specialized tools. Pipe freezing kits include our liquid Co2 system- Qwik Freezer capable of freezing 3/8” thru 8” pipe, and the Accu-Freeze liquid nitrogen pipe freezing system that we rate thru 12” pipe but has been successfully used thru 24” by customers throughout the world. The Argweld and Techwled lines come form our UK partner , Huntingdon Fusion Techniques and include weld purging systems such as inflatable purge systems, purge plugs, water soluble purge film, weld backing tape, flexible welding enclosures, trailing shields, and the hugely popular family of purge monitors. 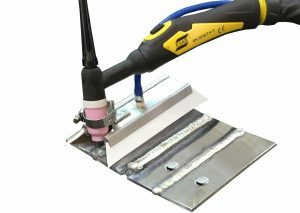 The Techweld line includes the Multi Strike non thoriated tungsten electrodes which offer tremendous performance in AC and DC applications, at low, medium and high amperage on a variety of materials. Our complete line of pipe plugs cover inflatables thru 120 inches in diameter capable of handling over 150 PSI. Our mechanical plugs cover low medium and high pressure applications. We have a tremendous stock of plugs ready to go at any time and we can also custom build plugs for almost any situation. 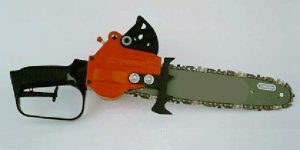 Our pneumatic saws include a complete line of air operated chainsaws. We have the 10” and 14” Bucket Saw which are hugely popular for pipe reliners as well as the Timberking Supersaw which can handle 17”, 21” or 25” bar lengths. The pneumatic chainsaws are all used in spark free applications such as mining, petrochemical, tunneling, and sewer work. They are also used in underwater applications with a snorkel adapter kit (Timberking Supersaw only). COB Industries Products: SPECIAL TOOLS FOR SPECIAL JOBS FROM A VERY SPECIAL COMPANY.